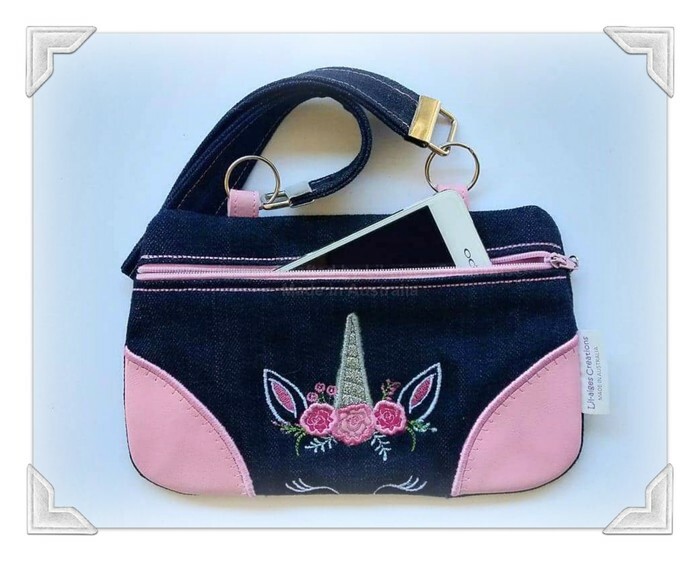 Imagine the surprise when your loved one opens your surprise gift and they set their eyes on this dreamy unicorn shoulder bag! 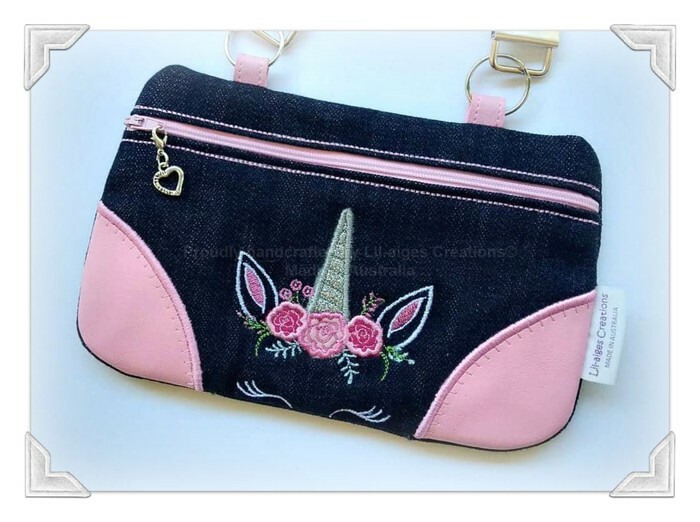 Get yours now - these awesome little bags are being snapped up - you won't want your tween to be disappointed with missing out - limited fabrics available. Spot cleaning is recommended, but if needed, gentle washing cycle set to cold. I recommend putting the item into a lingerie bag or pillowcase tied off to protect and to keep the bag in good condition. Dry flat. 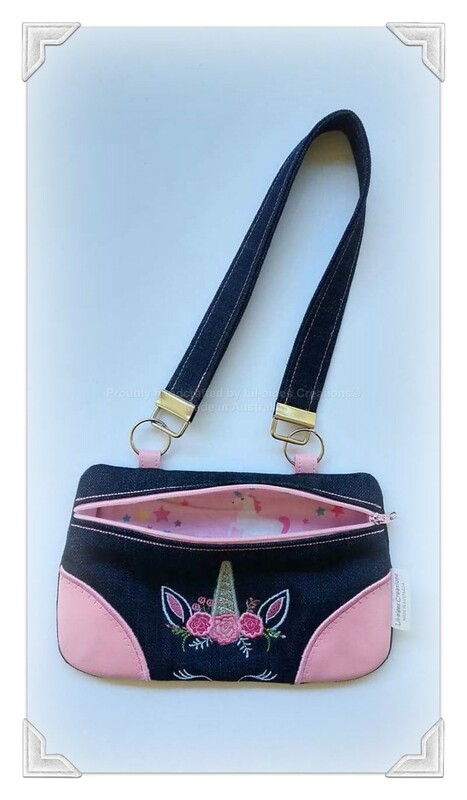 Do not iron applique or snap part of the bag. 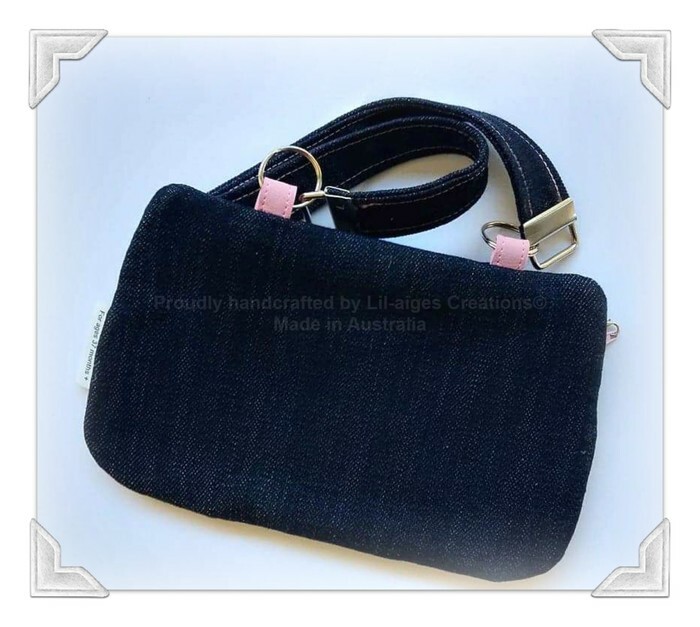 Denim parts of the bag may be ironed. Do not dry clean. 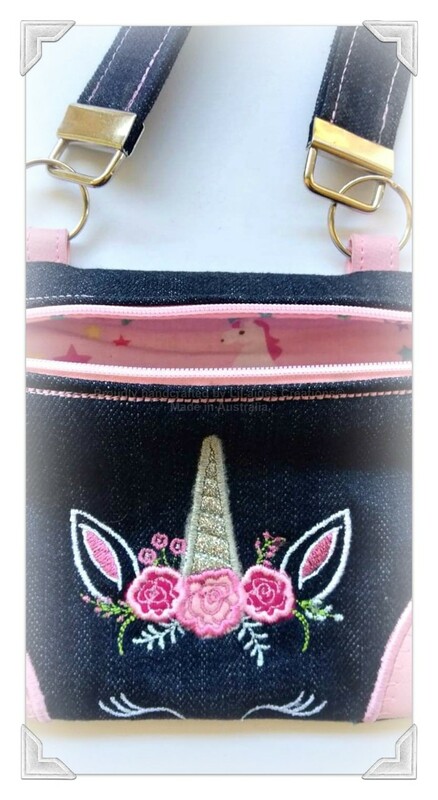 Thank you and I am sure you (or the recipient) will enjoy this lil unicorn messenger bag as much as I have enjoyed creating it. Great care is taken to ensure that each creation is as safe as possible. Each piece is carefully machine/hand sewn, tripled stitched. The item then undergoes a strict compliance check. Please regularly check the condition of items for signs of wear or tear. 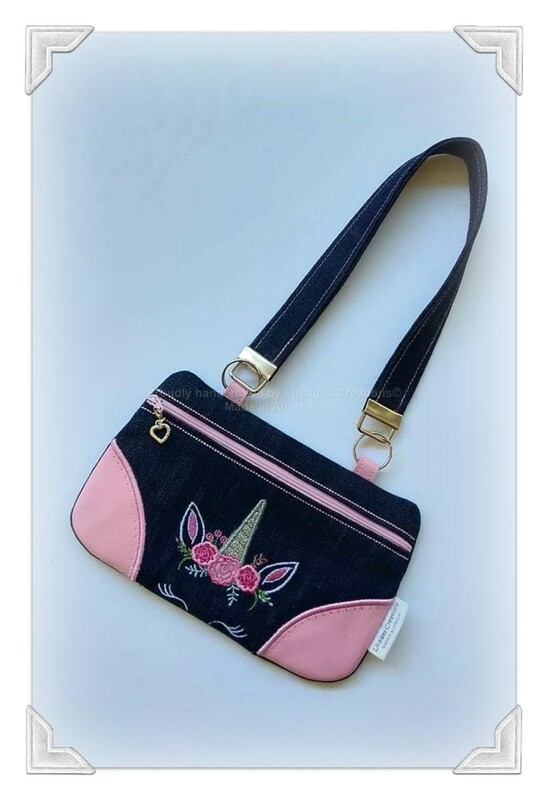 If stitching comes loose, dispose of the item or have it repaired professionally.